Grizzly bear in Yellowstone National Park. (File photo). Yellowstone National Park biologists have euthanized a grizzly bear with a history of exhibiting bold behavior toward humans. Even after being captured, tagged and relocated to the Caribou-Targhee National Forest in 2015, Yellowstone Public Information Officer Jason Schafer says the bear was undeterred. “The immature male grizzly that was involved in that action was repeatedly involved in conflicts with humans,” Schafer said. Last year, the bear entered campsites in the Heart Lake area, and destroyed tents, sleeping bags, and sleeping pads. Park officials then unsuccessfully tried to change the bear’s behavior through the use of electric decoy tents, electric food sack decoys, and by hazing with bean bag rounds, rubber bullets, and cracker shells. A few weeks ago, the bear forced a group of backpackers out of their Heart Lake campsite and consumed all of their food. Yellowstone closed the area to backcountry camping on August 27 and set traps for the bear on September 1. The bear was captured and euthanized the morning of September 8. The Interagency Grizzly Bear study team reports 23 bears have been removed from inside park boundaries, and 11 of those bears as a result of human causes in the last year. Only three of those bears, however, were noted to have exhibited bold behavior toward humans. HELENA, Mont. 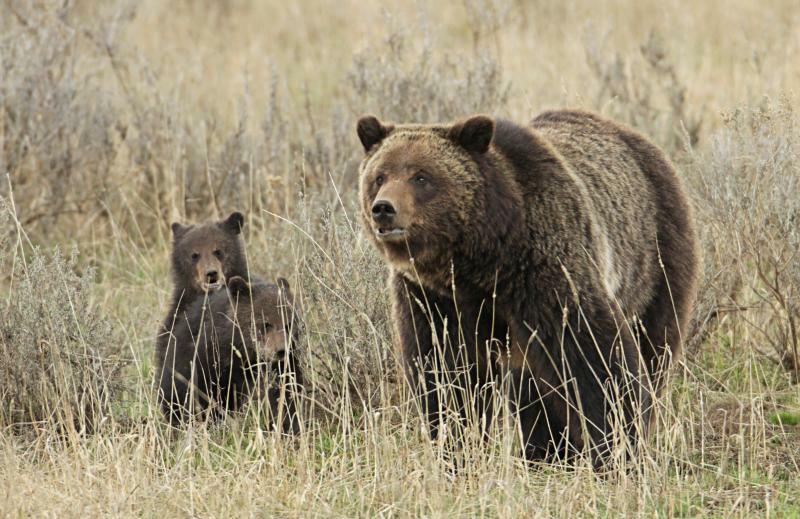 (AP) — The U.S. government lifted protections for grizzly bears in the Yellowstone region on Monday, though it will be up to the courts to decide whether the revered and fearsome icon of the West stays off the threatened species list.